A newly curated tour aims at unravelling the story of the late Lee Kuan Yew, from boyhood to childhood. 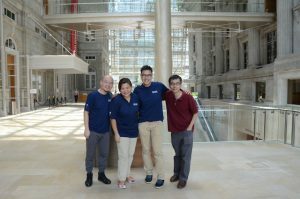 The team from Tribe, from left to right: Damian Sim, content curator; Cheong Yoke Chun, co-founder; Jason Loe, co-founder; and Anthony Ng, content curator. There is no denying how the late Lee Kuan Yew’s political legacy and contributions have impacted not just Singaporeans but the world over. Even when he passed on a year ago, he brought the entire nation together in solidarity in a way no other event had done in a long time. But how many of us actually know the real man behind his public persona? How was he as a friend, son, a father and a husband? What were his likes and dislikes? What were his values? A group photo at Guan Hoe Soon restaurant where guests sample light Peranakan refreshments of Mr Lee’s favourites. Tribe is introducing a newly curated tour aimed at unravelling the story of Mr Lee, from boyhood to adulthood. The team behind the “About Mr Lee” tour has put together a narrative that will give participants a glimpse of the personal life of the man, chronicling his childhood, family and times with the greatest love of his life – his wife, Kwa Geok Choo. The tour group outside of Mr Lee’s Oxley Road home where Tribe’s Jason Loe shares more on Mr Lee’s frugality and Mr Lee as the family man. 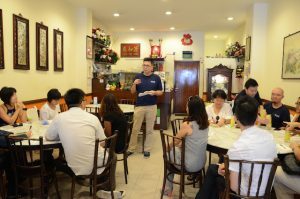 The tour will kick off at Civilian War Memorial and then through Koon Seng Road for a taste of Mr Lee’s Peranakan roots. 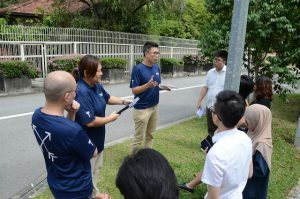 Participants will also discover stories of his family home in Oxley Rise followed by a walk through Tanjong Pagar and end at the Padang, where he was first sworn in together with his cabinet back in 1959. Said Jason Loe, co-founder of Tribe: “The response to ‘About Mr Lee’ tour has been very encouraging with about 80 percent of tickets sold for the past five sessions. We are very excited to bring participants around Singapore and show a glimpse of who Mr Lee was as a regular person. 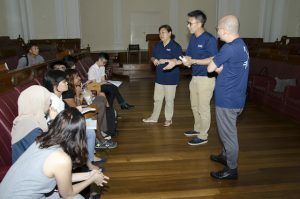 At the Old Parliament House where Jason describes experiences during cabinet meetings with Mr Lee and his team. In memory of the man, 100 percent of proceeds for the month of March will go to charity. For subsequent months, 10 percent of proceeds will go to charity. 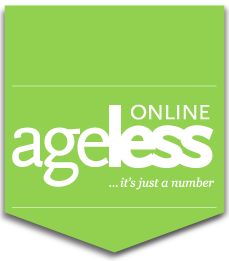 Those below 65 pay S$56 while those above 65, pay S$45. For registration, please visit www.tribe-tours.com. Note that registration for all tours must be done at least two days prior to the tour. For the month of March, there will be tours on the 26, 27 and 30. The morning session starts from 9.30am to 1pm, while the afternoon session starts from 1.30pm to 5pm. The meeting point is at Raffles City Shopping Centre, outside Starbucks. April tour dates will be confirmed at a later date.